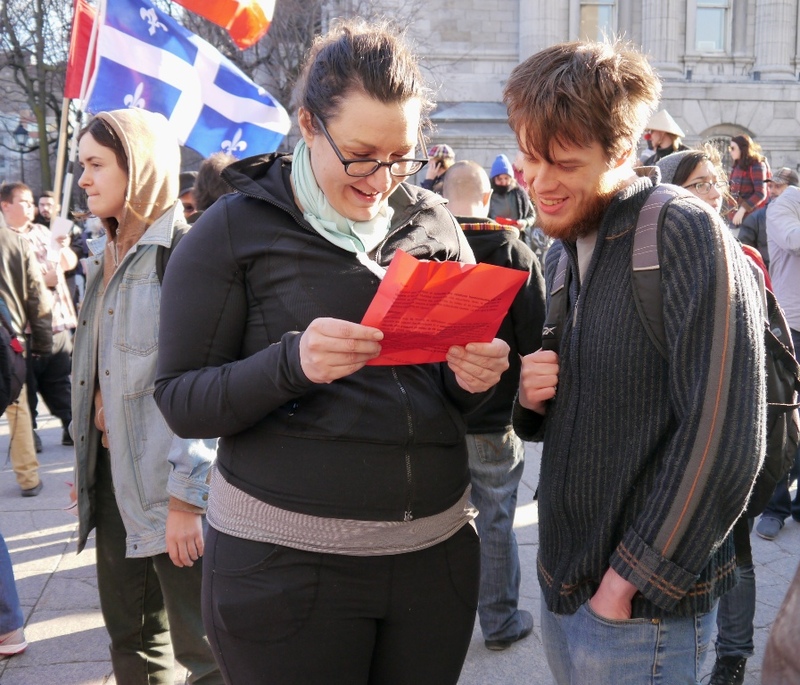 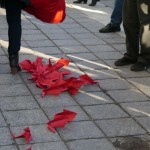 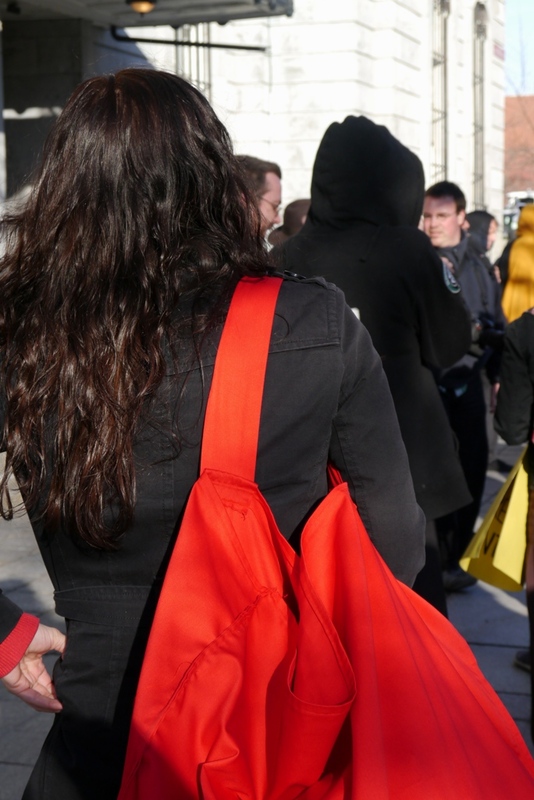 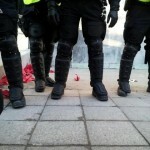 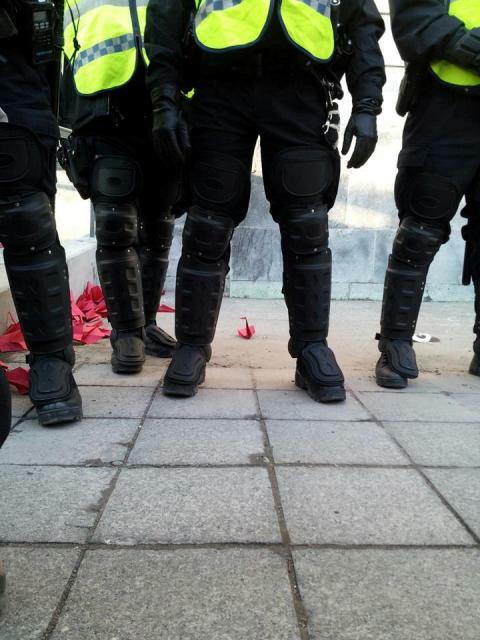 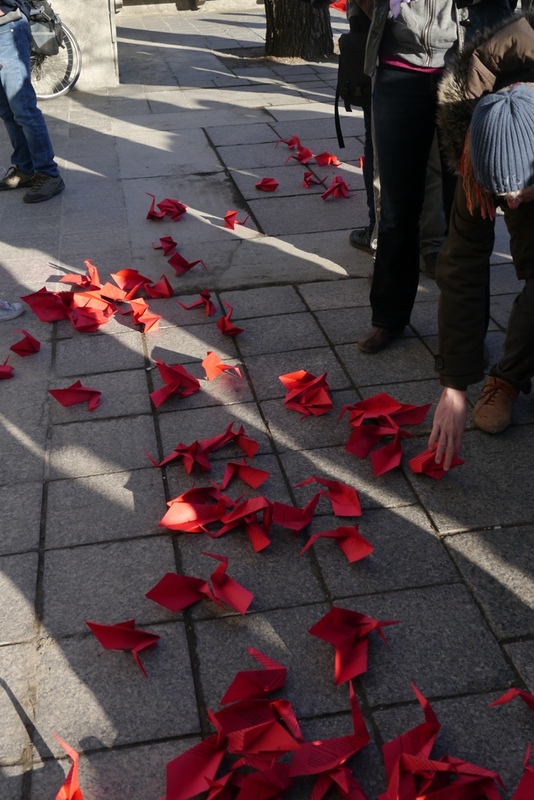 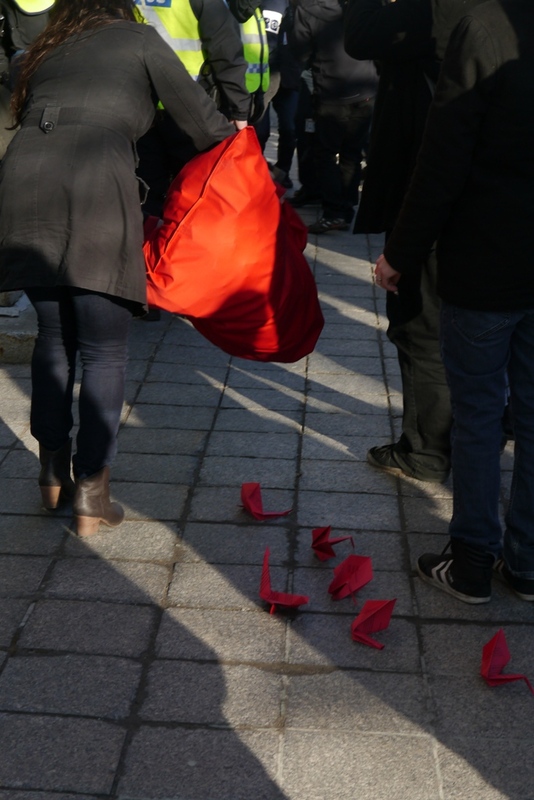 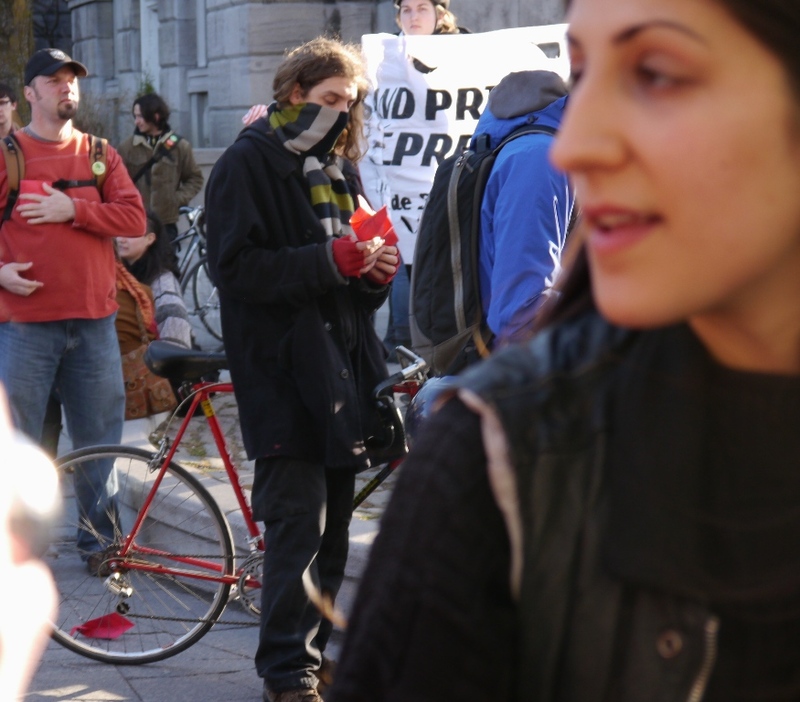 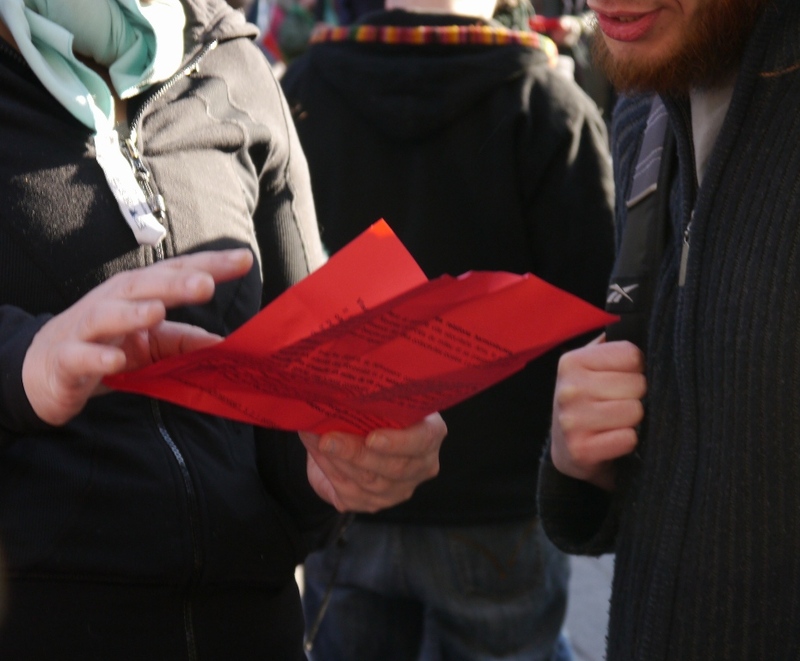 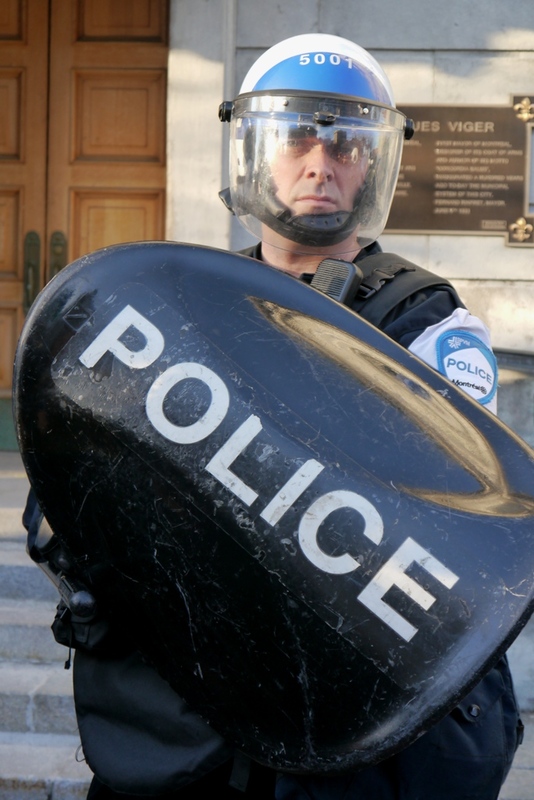 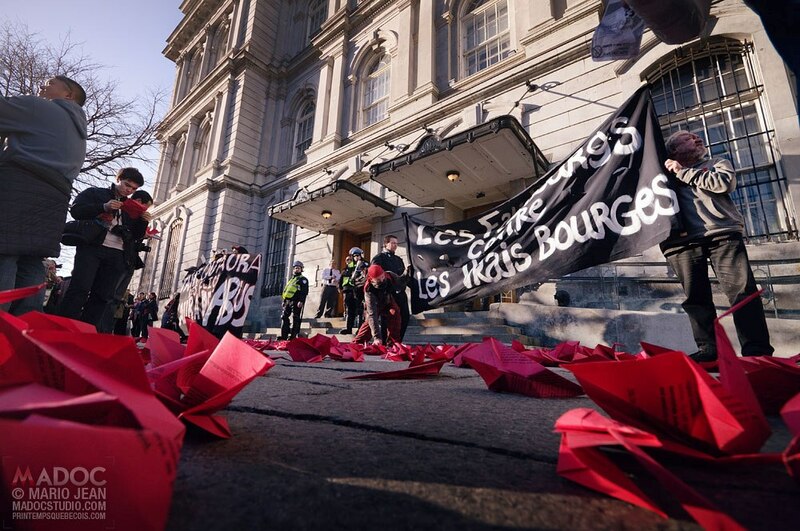 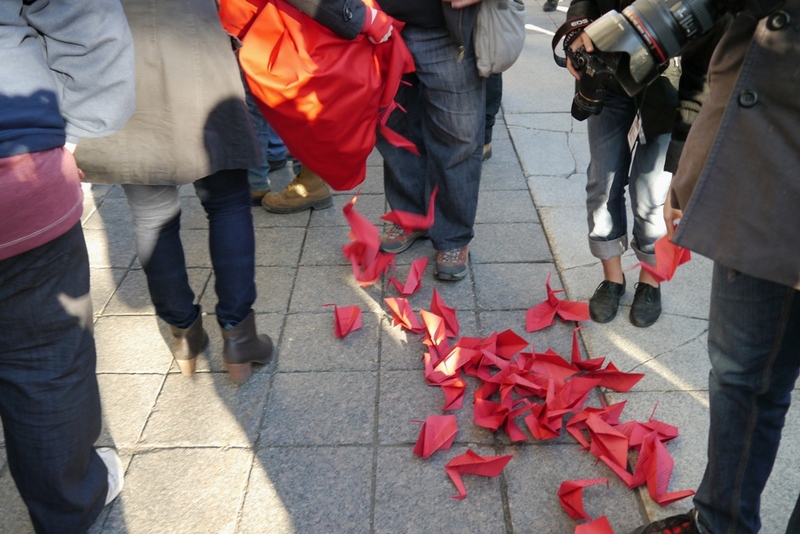 Performance/Intervention at Montreal City Hall on April 22nd 2013. 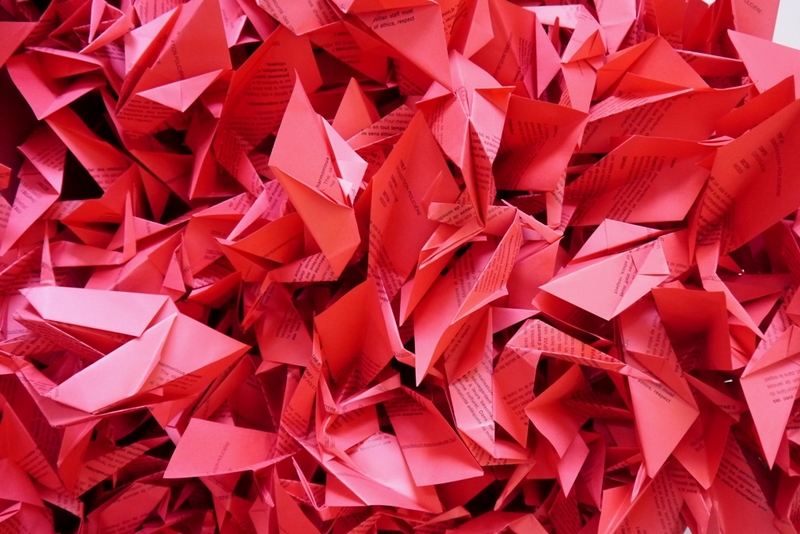 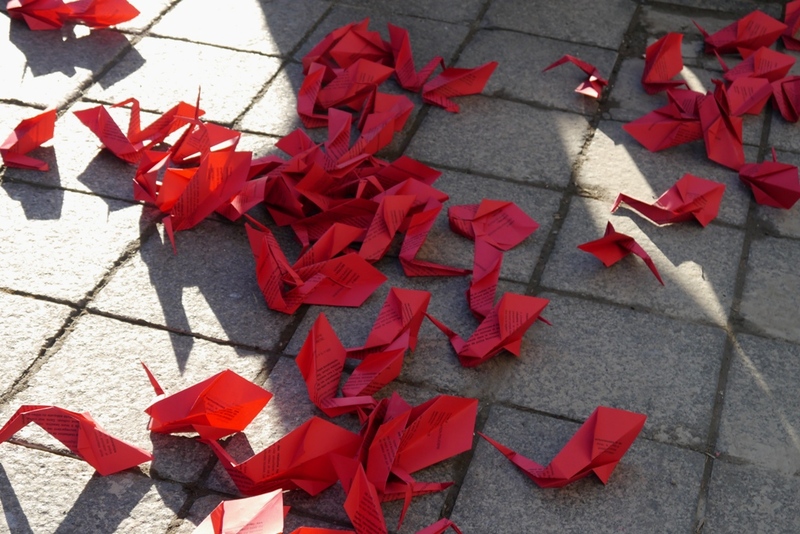 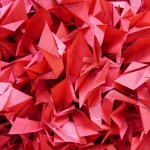 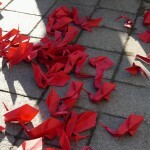 Materials: red paper squares (8.5” x 8.5” each in size) turned into 637 Origami Pelicans. 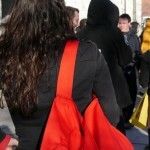 Three red squared bags were made to carry all the Pelicans inside (38” x 38” each bag). 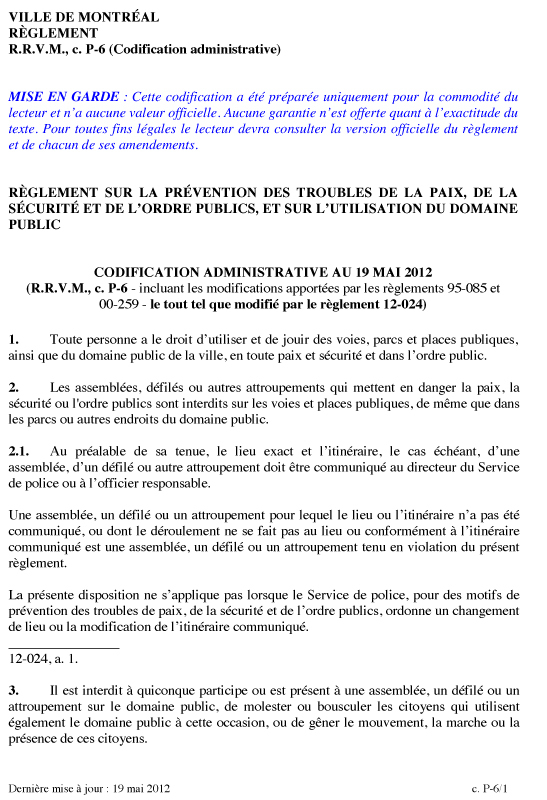 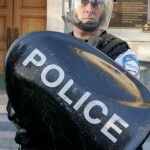 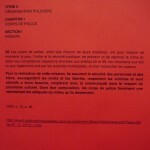 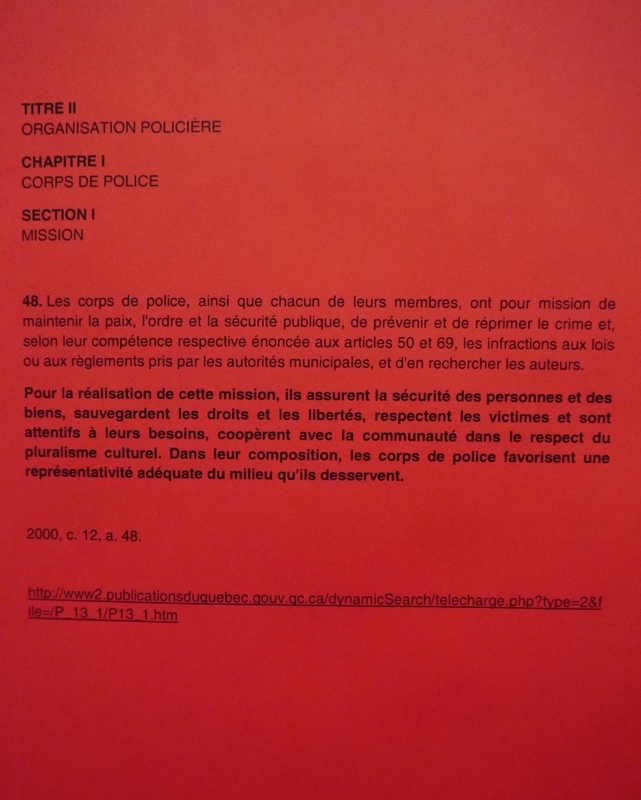 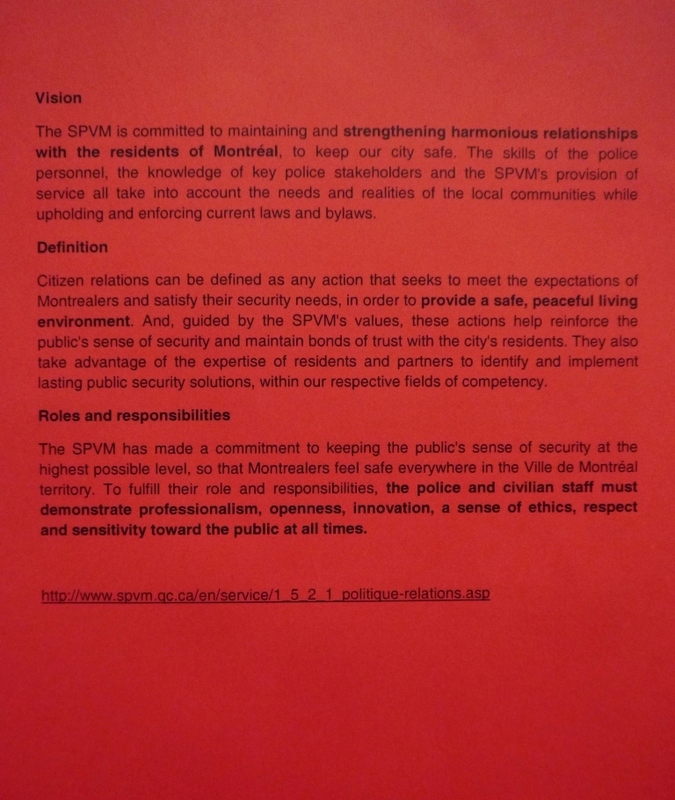 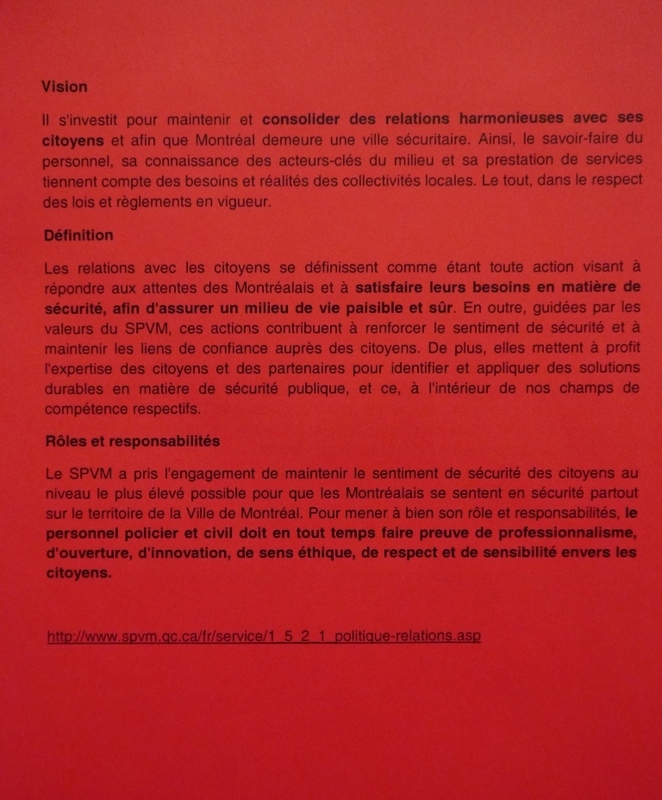 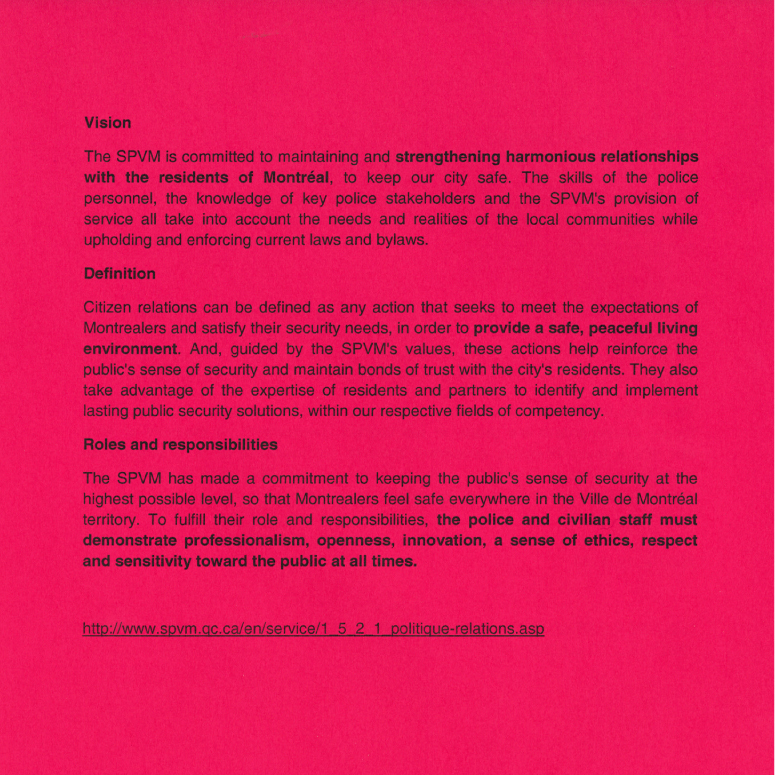 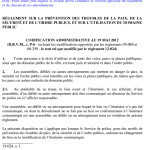 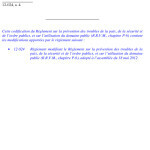 Side 2 ~ SPVM’s vision, definition, roles & responsibilities towards all Montrealers taken from their own website. 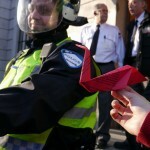 Origamilitantisme is a collaboration of several artists and activists fighting against the present bylaw P-6 in Montreal. 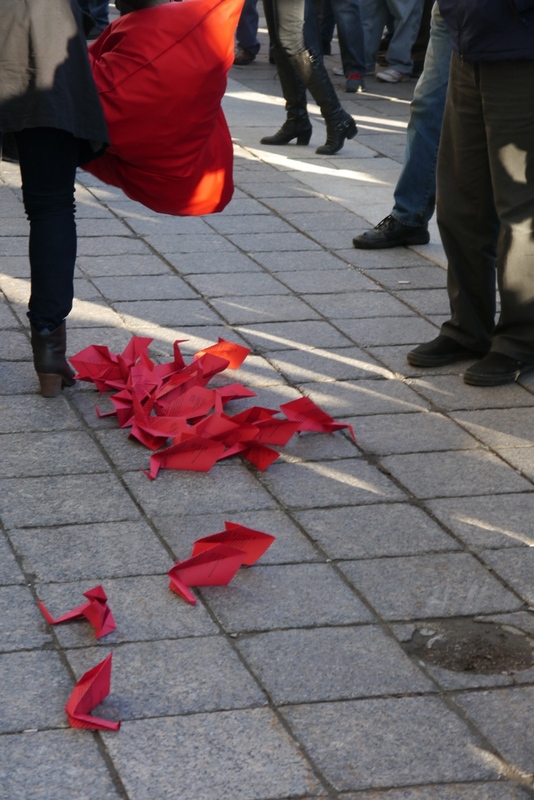 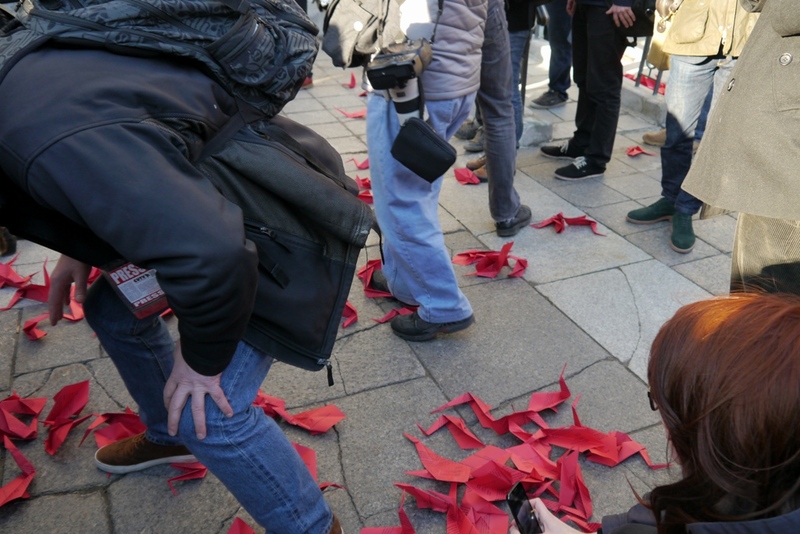 During recent protests, our actions and artistic performances in public spaces have allowed us to represent our fundamental human rights to freedom of opinion and expression, freedom of thought and peaceful assembly. 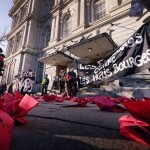 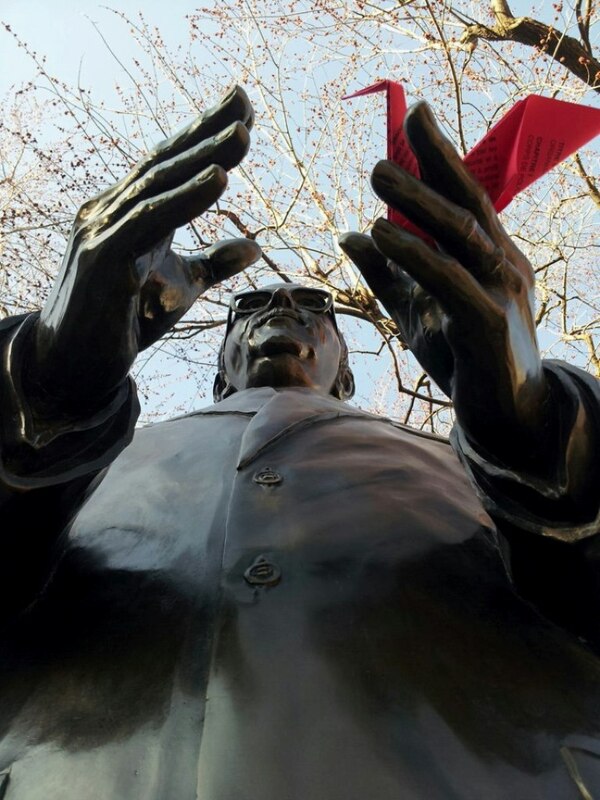 Origamilitantisme est une collaboration de plusieurs artistes et activistes luttant contre le règlement P-6 à Montréal. 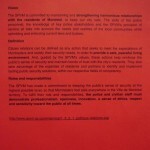 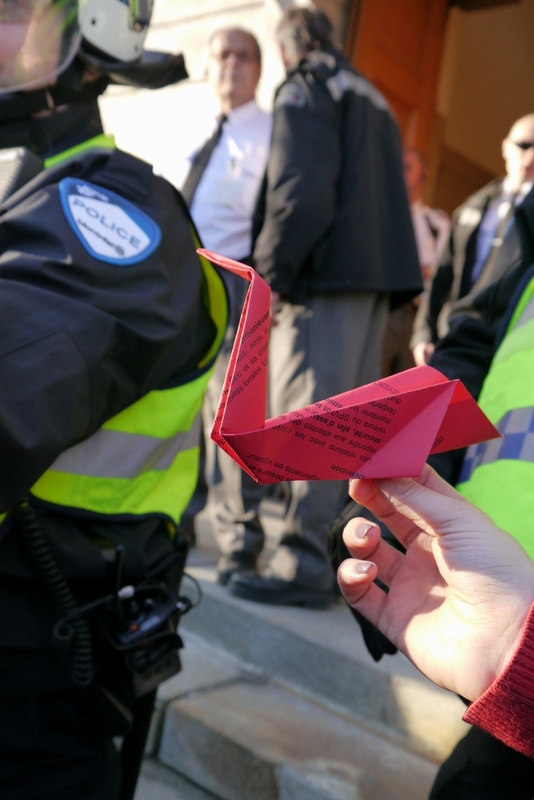 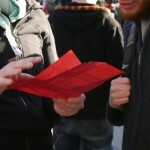 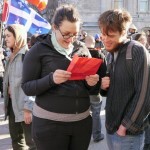 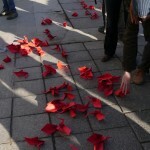 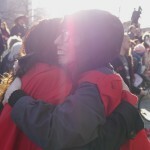 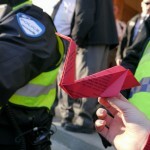 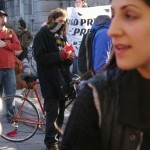 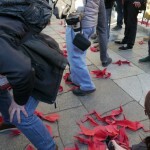 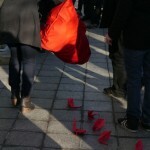 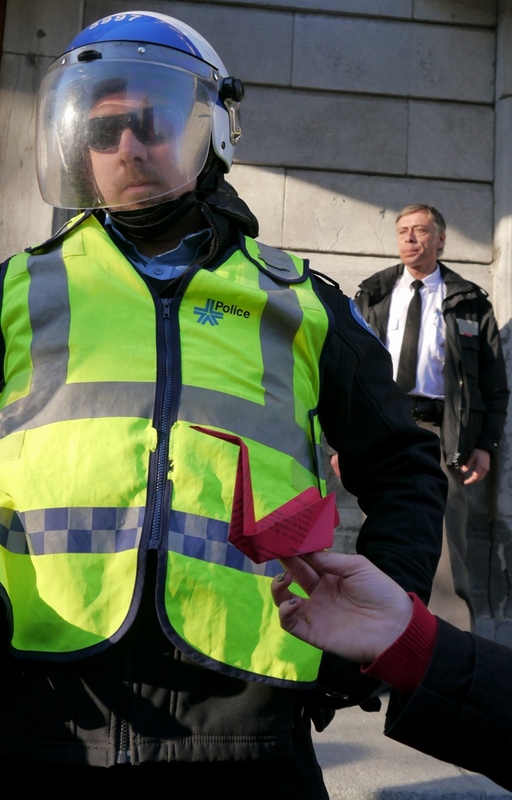 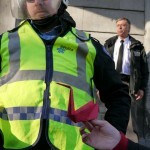 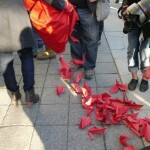 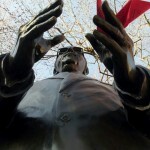 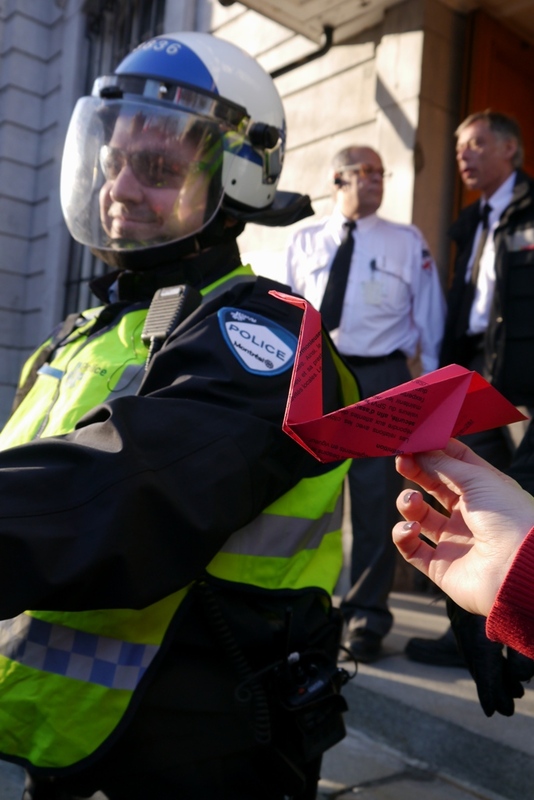 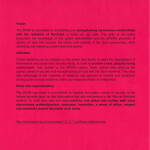 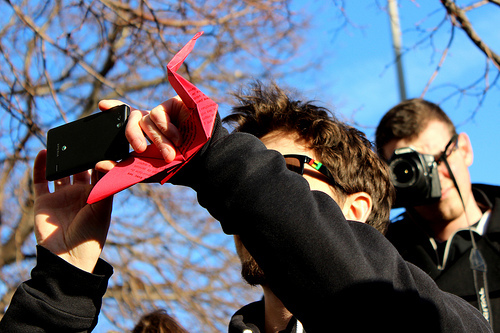 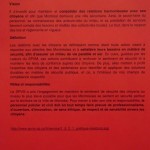 Origamilitantisme is a collaboration of several artists and activists fighting against the present bylaw P-6 in Montreal.